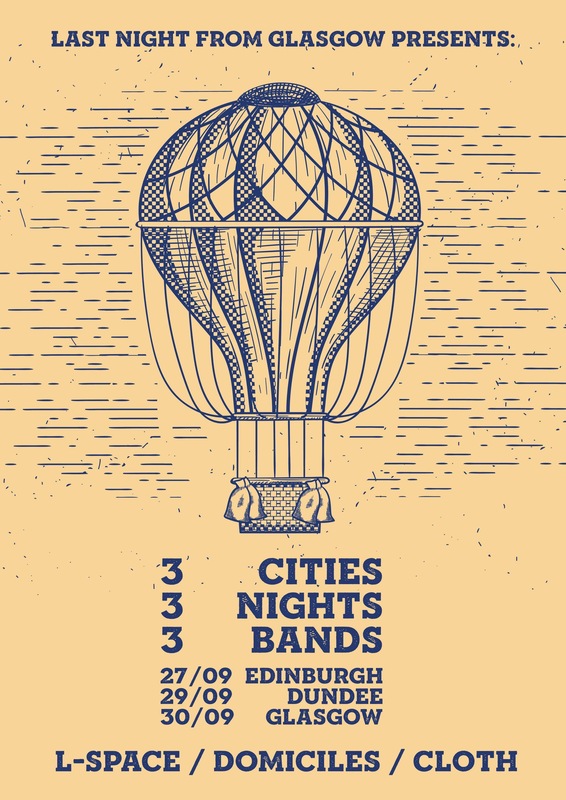 We are delighted to announce that in September we shall be bringing three of the finest young bands working in Scotland, to three of the country’s finest cities over three of the best nights of the week. Kicking off in Edinburgh on 27/09 before moving to Dundee 29/09 and finishing Glasgow 30/09 you wil be able to enjoy the collective talents of L-space, Cloth and Domiciles. 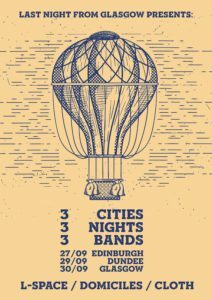 Each band will headline one show and each band will open one show, it’s a true collective endeavour. Tickets are available on our link above.